Since a couple of years, structured data markup has become the top priority for website owners. This is a perfect way to let the search engines know what exactly the meaning of the information you are placing in the markup. And they love to display these markup as rich snippet in SERPs. John Muller, in 2015, stated that Google might add structured markup & data to its ranking algorithm. Well, by now, it may be in their list. With rich snippets, you are well-distinguished from other results that don’t having it in SERP & hence fetch more CTR compared to others. Rich snippets show the most important information in a unique way and hence attract users to click it. Though inconclusive, but a study by Searchmetrics in 2014 showed that 36.6% of search results included at least one snippet & sites using Schema ranked on average four positions better than those without. Too lucrative, isn’t it? But again marketing world has started scamming this & Google has introduced spammy structured markup penalties. 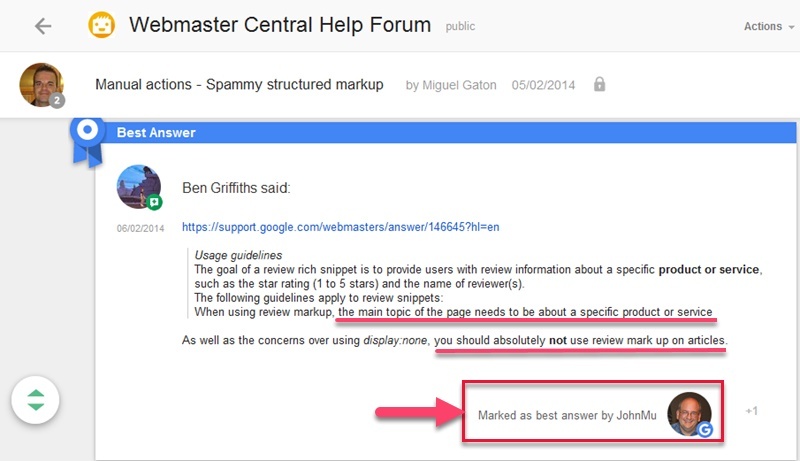 Below is a snapshot of Google Webmaster Central Help forum discussion where John Mueller clearly stated the negative impact of the wrong use. You can see that manual action is being taken by Google for wrong usage of reviews & ratings mark up. 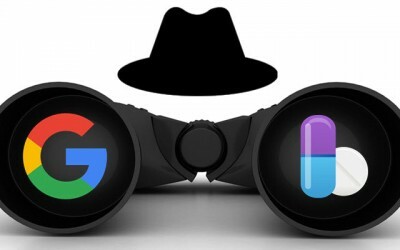 It’s found that site owners are trying to spam Google search results by using spammy structured markup & Google has been penalizing sites for spammy structured data mark up. 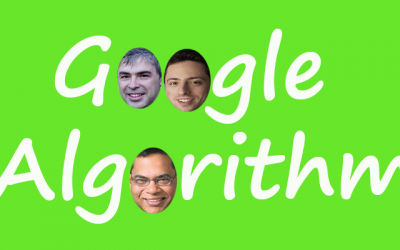 Google is taking either manual action or algorithm action. 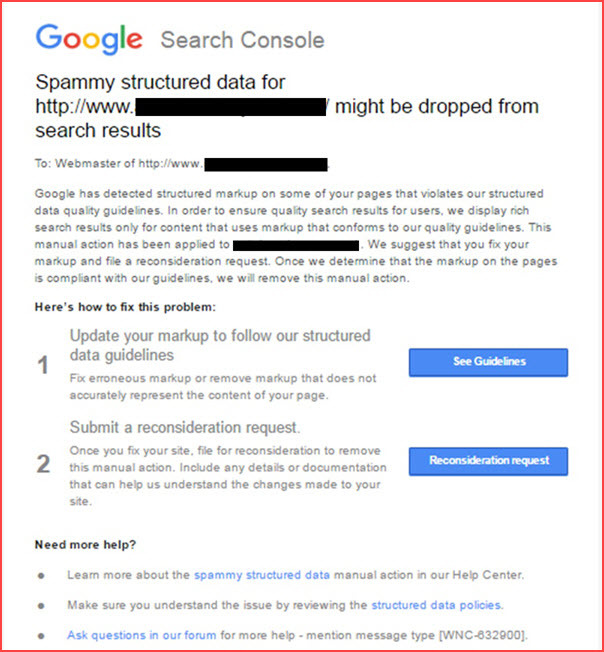 Recently for one of our client, we received a message on Google search console that manual penalty has taken by Google for structured data mark up. The message was “Google has detected structured data mark up on some of your pages that violate our structured data quality guidelines”. And manual action applied to the site. That was really strange as we tend to take utmost care not to violate Google Guidelines; at least knowingly. After getting the message from Google, our first priority was to assess the impact of the penalty in terms of ranking & traffic. We found that due to the manual action for spammy structured data markup, Google had removed the rich snippets in the search results. But the organic ranking of the site was not touched & remained almost same like earlier for multiple keywords. Obviously our first step was to find out the exact reason for manual action and ironically Google doesn’t disclose about it. So we first checked for any kind of errors or warnings in our client’s site structured data mark up using the Google structured data testing tool. And we found that the structured data markup was clean with no errors. Then we again went through the Google’s quality guidelines on structured data markup. Various structured data mark ups were used in the website & we found that most of these were not violating Google’s quality guidelines. The only one that was confusing us is the reviews & ratings mark up. In reviews & ratings mark up, Yelp data was used & but the data in the website was not updated & hence was mismatching with Yelp data. 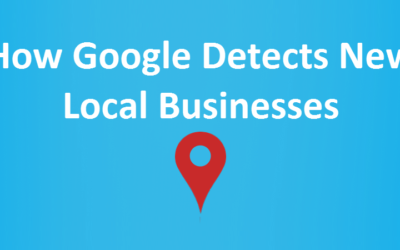 We guessed that it could be the issue that might attract manual penalty from Google. So we updated the data in the website. 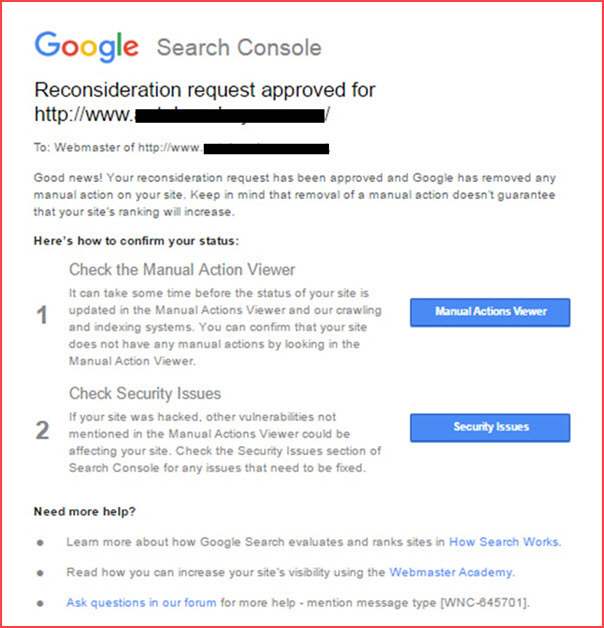 Thereafter, we sent reconsideration request to Google through Search Console message & within one week, it was approved by Google. So it’s very clear that you need to show the updated rich snippets to the users in your site else there could be Google penalty. But manually updating website structured mark up every time is quite difficult. Upon searching we found that Yelp has embedded code that you can use it in your so that you wouldn’t have to update it every time, but change in Yelp reviews & rating could automatically update the data in your website. At Google, our first priority is to help our users find relevant, engaging answers for their search queries. High-quality structured data must not create a misleading or deceptive experience for search users. It should be an up-to-date and accurate reflection of the topic and content already found on the page, such as text, images, and videos. Articles should not be markedup for review & rating. Use right markup in relevant pages. This is really good piece of content we really need live examples where we can understand easily.